The weather's beginning to warm up and the days are getting longer, which means more opportunity for al fresco dining. Fittingly, through a friend of mine, I recently attended a backyard barbecue situated in the shadows of the Hustler Casino. 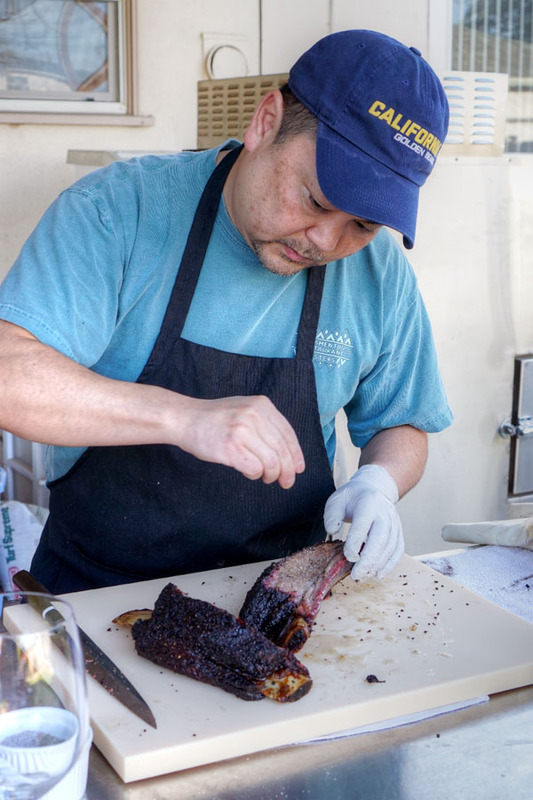 It was put on by one Michael Lee, an OC native, Berkeley grad, and former attorney who's been smoking meats for about a dozen years now. 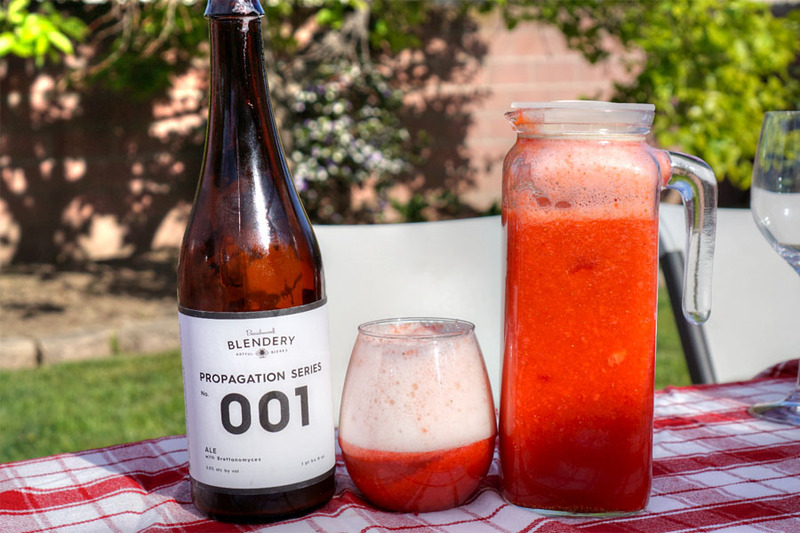 Naturally, this was a BYO sort of affair, and given the summer-y climate, we started off with something super lightweight, a Strawberry-Lemon Shandy made with the 2015 Beachwood Blendery Propagation Series: No. 001 Brett saison. It was a quaffer, with big, bold berry flavors set against a slight tartness from the lemon and the light, effervescent funk of the beer. Nice textural variation from the chunks of fruit as well. 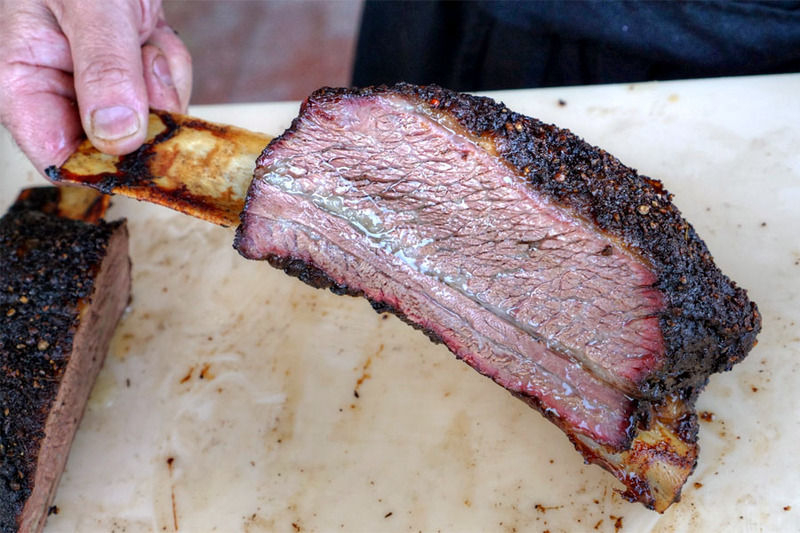 The meats came out in staggered fashion, and first up was a Texas-influenced beef short rib, smoked in a Jambo pit. 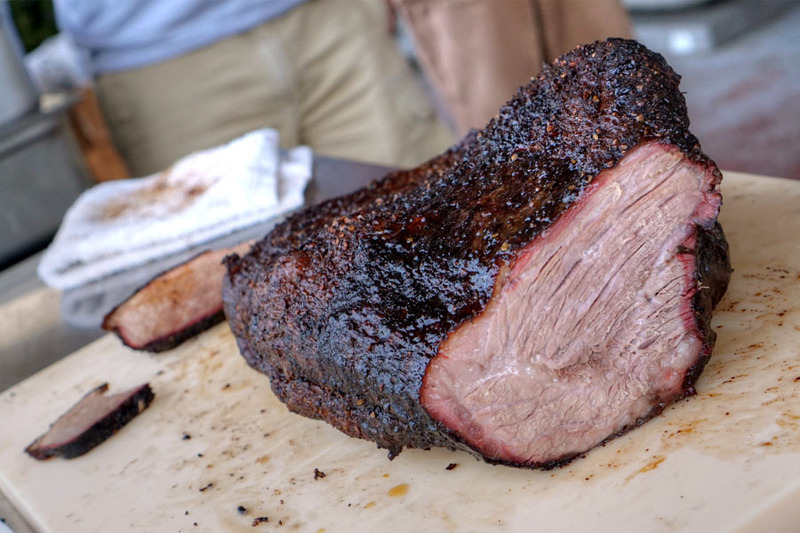 It was the star of the evening for me: tender, yet giving up a bit of chew, with a good amount of fat and a wonderful balance of beefy and smoky flavors. Great crust as well, with its additional hit of spice. 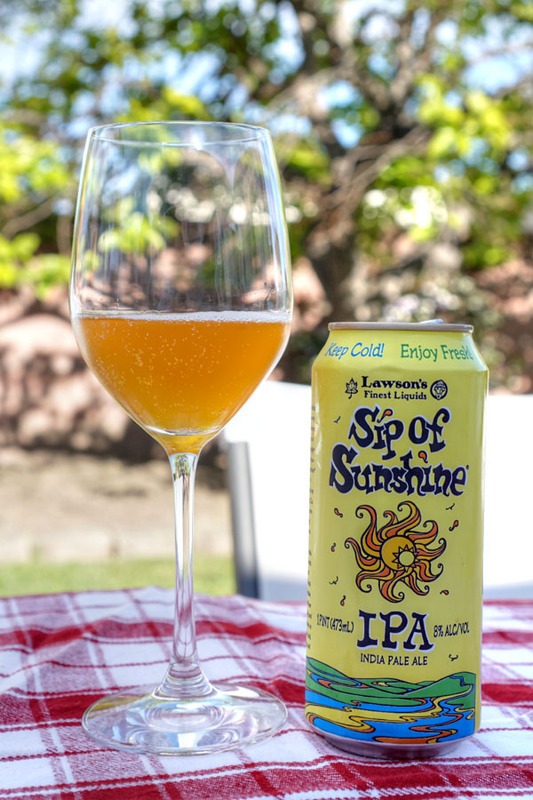 Our first of two IPAs was the 2016 Lawson's Finest Liquids Sip of Sunshine. It wasn't quite as floral, or as juicy, or as tropical as I would've liked, though it was still a solid IPA, with a pronounced hoppiness backed by malt and traces of citrus toward the finish. Sides were a must of course. 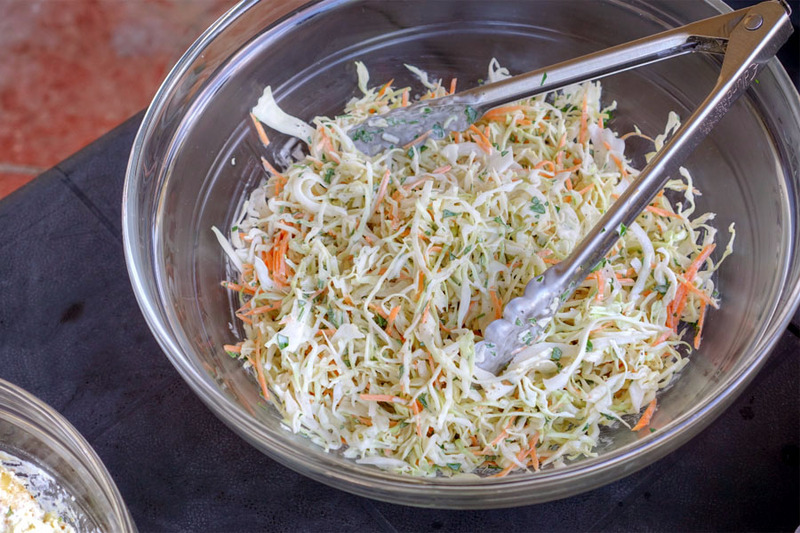 The coleslaw came out crunchy, creamy, with a slight tang to it. Some of my dining companions wanted more acidity, however. 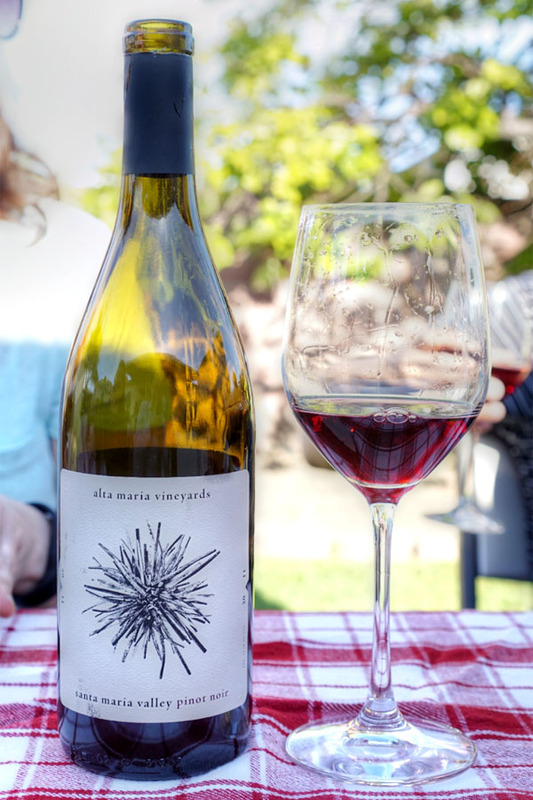 We moved to wine at this point, specifically the 2011 Alta Maria Pinot Noir from California's Central Coast. Think tart berry and some woodiness on the nose, while the palate showed a bit more gravitas, with an earthy, almost smoky quality laced with dark fruit. 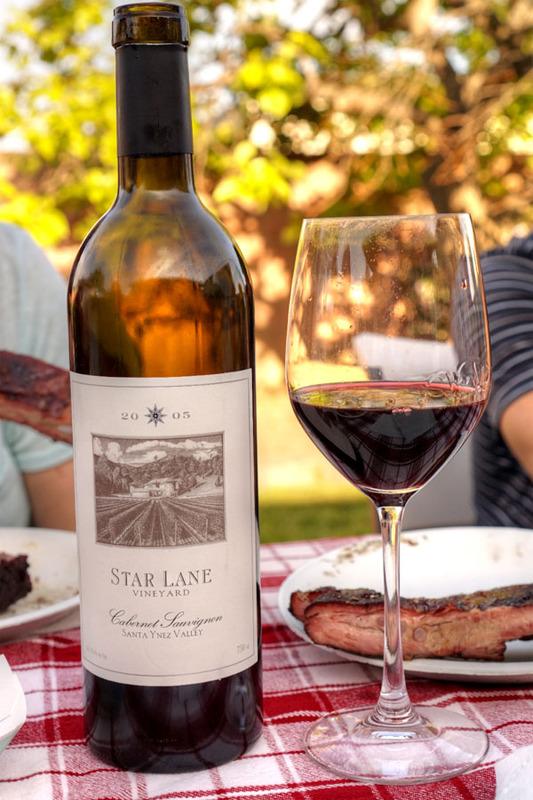 Here was another Central Coast wine, the 2005 Star Lane Vineyard Cabernet Sauvignon from Santa Ynez. I found this a bit more apropos with the food. Smelled of inky dark berry layered with hints of sweet spice. Taste brought more of the same, with rich, tart fruit flavors joined by more spice and a pleasant acidity. 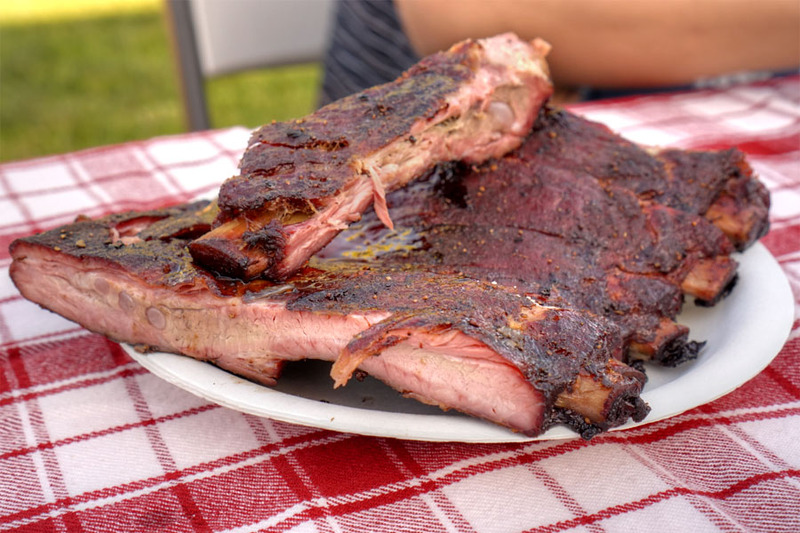 Ostensibly Kansas City-inspired pork spare ribs were prepared in the Jambo. 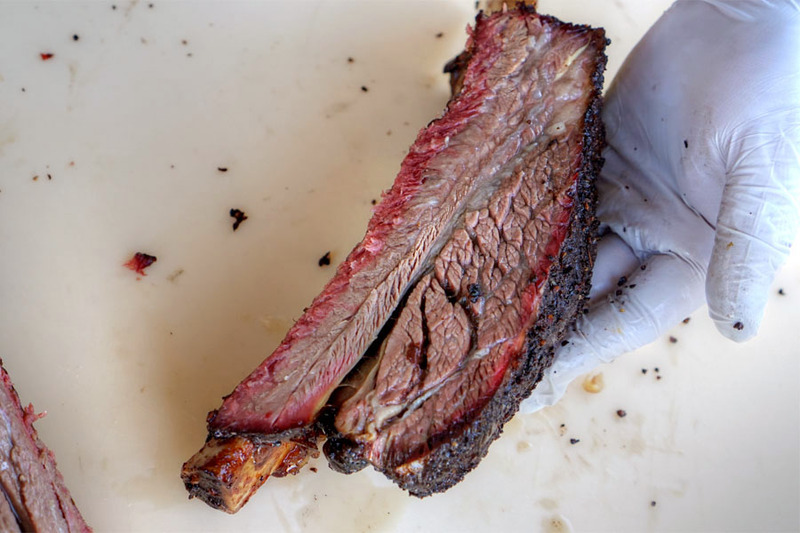 I found 'em quite delectable: gratifying to the bite and tearing cleanly off the bone, with unmistakably porky flavors complemented by the ribs' crisp, slightly sweet crust. 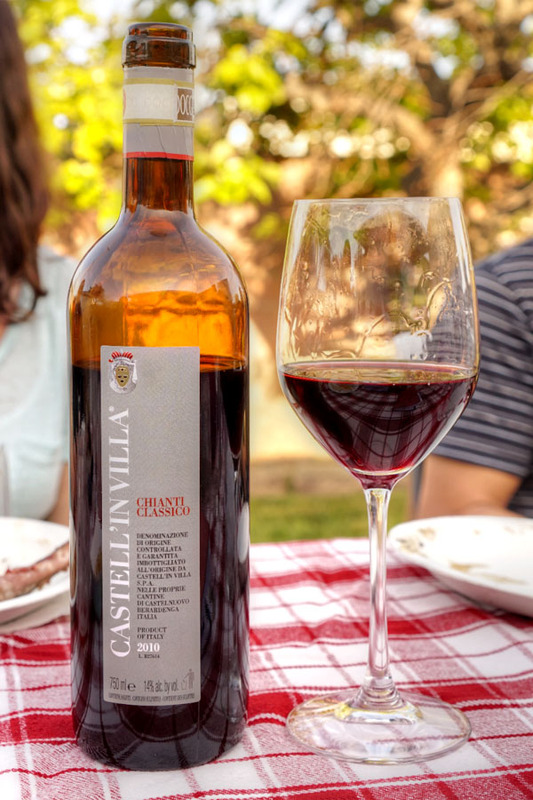 The 2010 Castell'in Villa Chianti Classico made for our final wine. I got loads of tart, bright berry in the aroma. Taste-wise, think full-bodied, spicy, zippy, with a bit of earthiness to it. 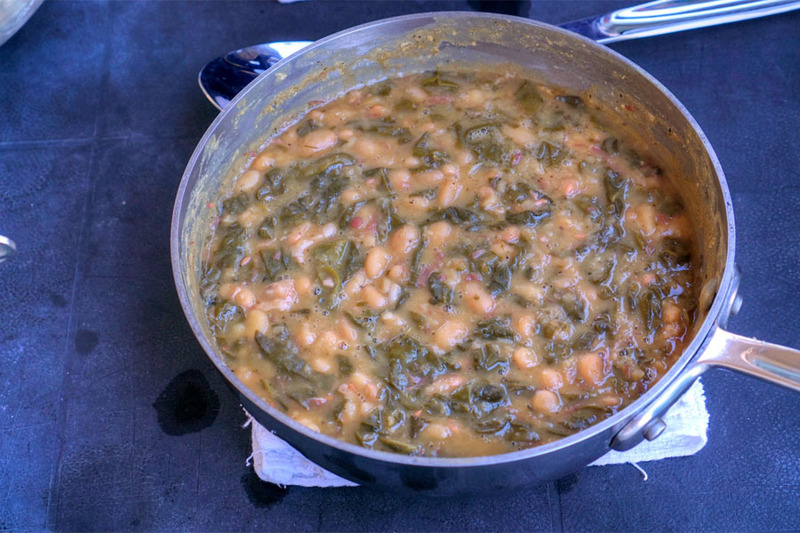 White beans showed off a hearty, homey depth cut by the bitterness of the accompanying chard. 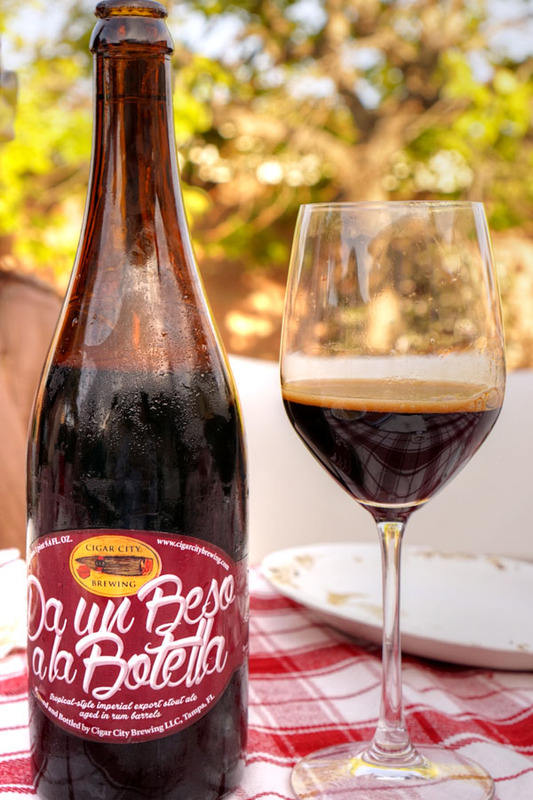 Getting back to beer now, the 2014 Cigar City Da un Beso a la Botella was an imperial export stout aged in Wicked Dolphin rum barrels. Nose was full of chocolatey malt and spice. On the palate, more of the same, with a pronounced fruity character and the booziness of the rum creeping up on the back end. 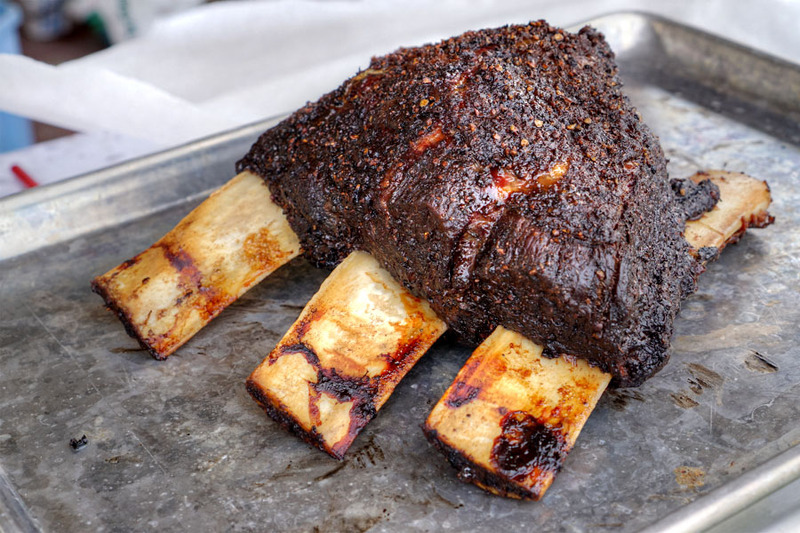 For comparative purposes, we also had beef short ribs prepared in a Cookshack. This one ate juicier, with a more pronounced pepperiness on the bark. On the flip side though, there seemed to be a touch less depth, less smoke to the meat. 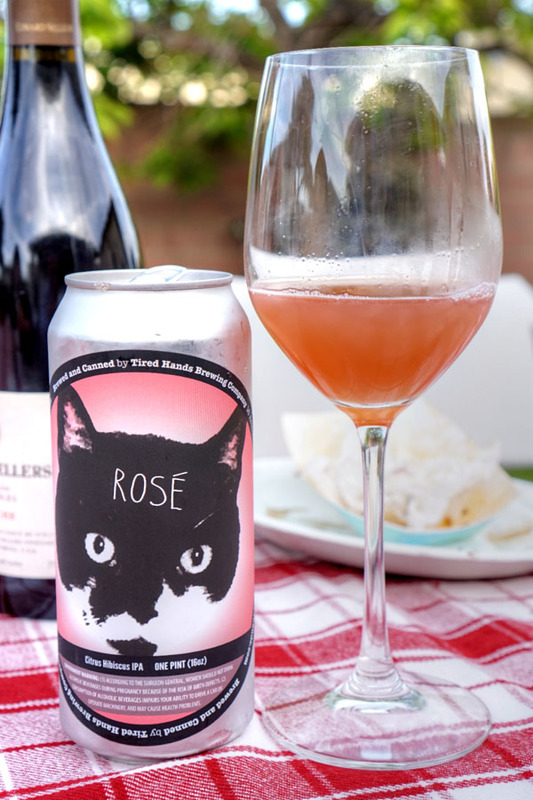 The 2016 Tired Hands Rosé was an IPA brewed with wildflower honey and hibiscus flowers, conditioned with calamansi, orange, and lemon pureé, and dry-hopped with Citra, Simcoe, Amarillo, and Centennial. I really enjoyed the end result of all this. The beer's bouquet of bitter hops commingled with the floral character of hibiscus beautifully, while the palate came loaded with juicy citrus and bittersweet hibiscus and hops. Utterly gluggable. 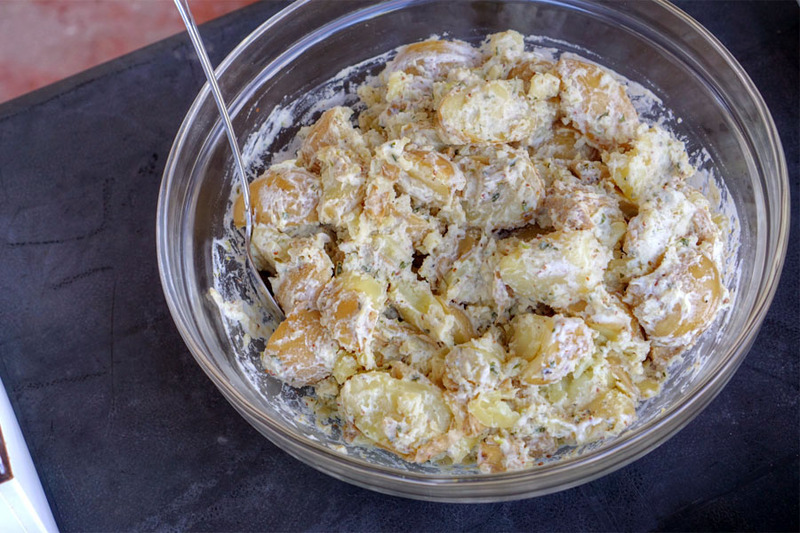 The potato salad featured hefty chunks of tater, enveloped by some creamy, tangy flavors. 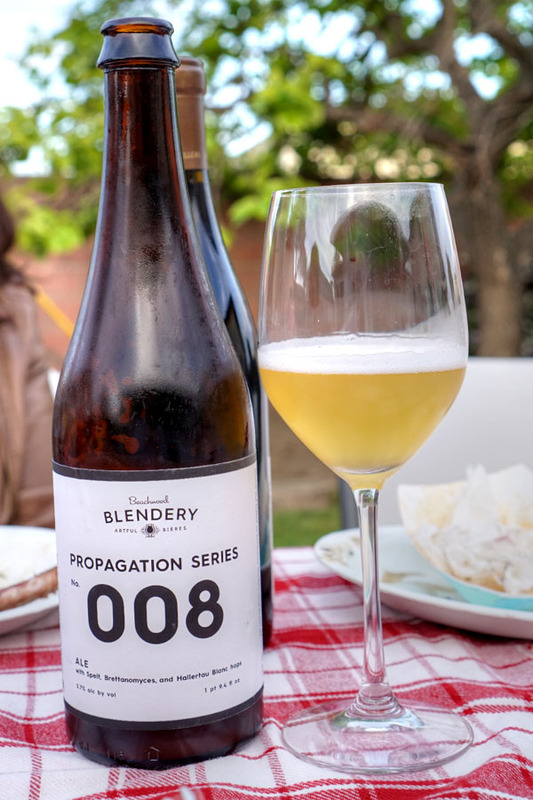 Next came the 2015 Beachwood Blendery Propagation Series: No. 008, a Brett saison with spelt dry-hopped with Hallertau Blanc. It was lovely--super juicy to the smell, tart and slightly hoppy to the taste, with a subtle funk rounding things out. 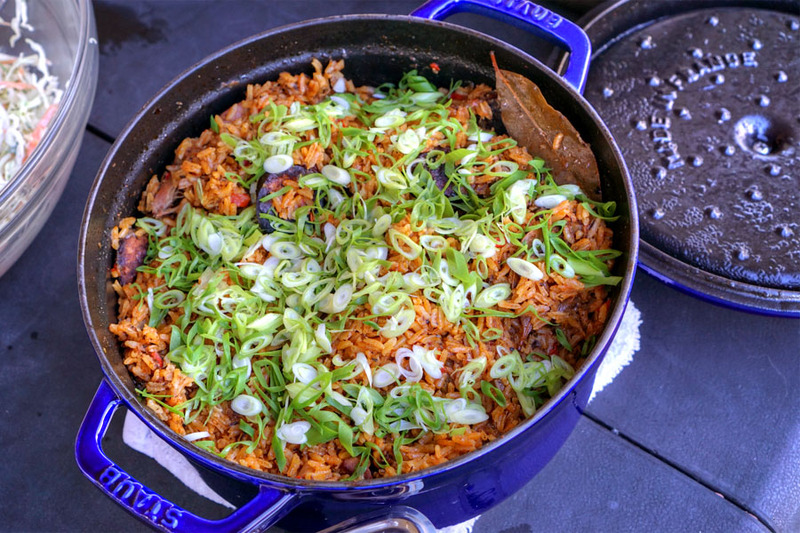 Lee's jambalaya was a standout, displaying a great depth of flavor and some intoxicating aromatics. Super good. 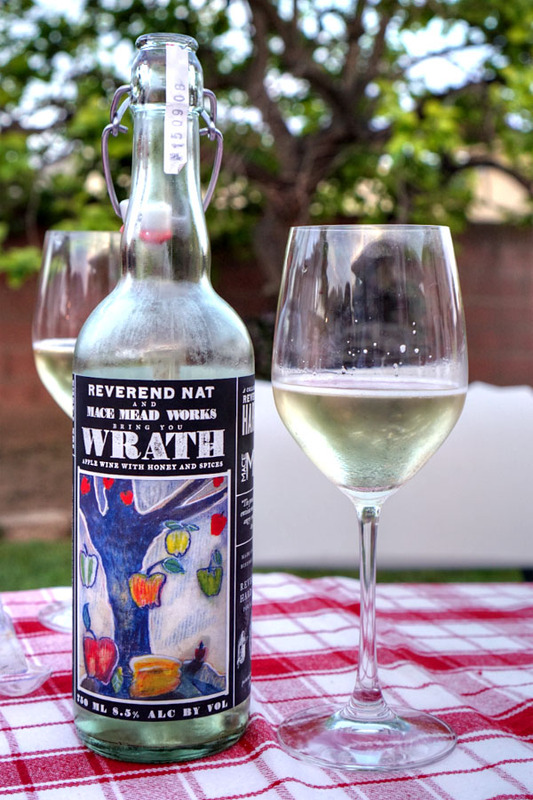 A collaborative effort with Mace Mead Works, the 2015 Reverend Nat's Wrath was an apple wine with honey and ghost chilies. The aroma was pleasant, with light sweet spice notes. However, I found this far too harsh to the taste, with the peppers dominating and pretty much wiping out all the honey and apple. 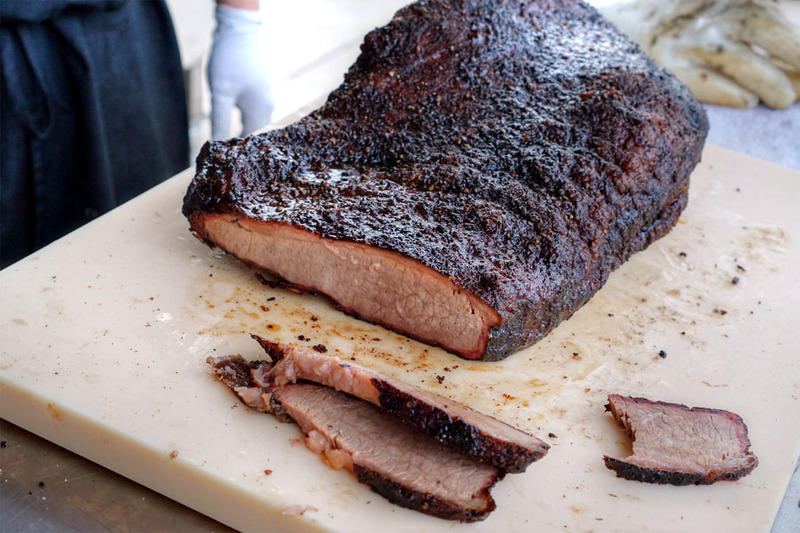 We finished with a Creekstone brisket prepared in the Cookshack, a tasty preparation that displayed a nice balance of beefiness and spice character from the crust. 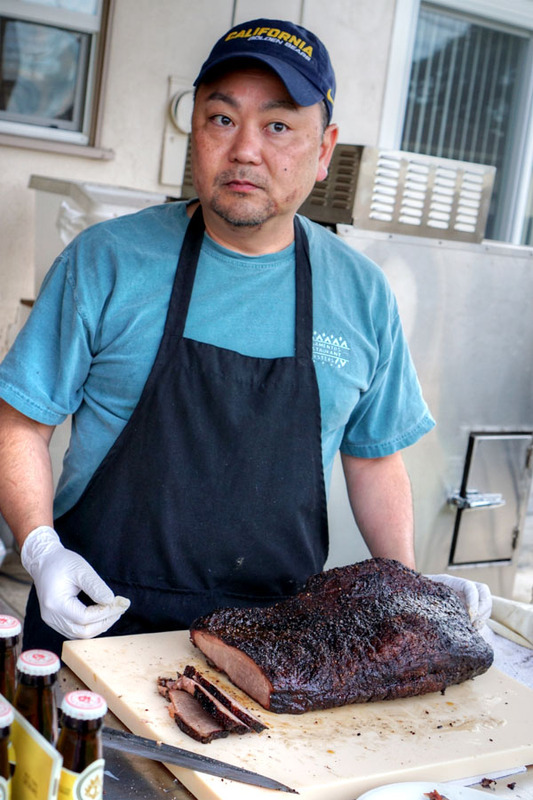 Texturally, the meat was tender enough, though Lee lamented that it was too "tight." 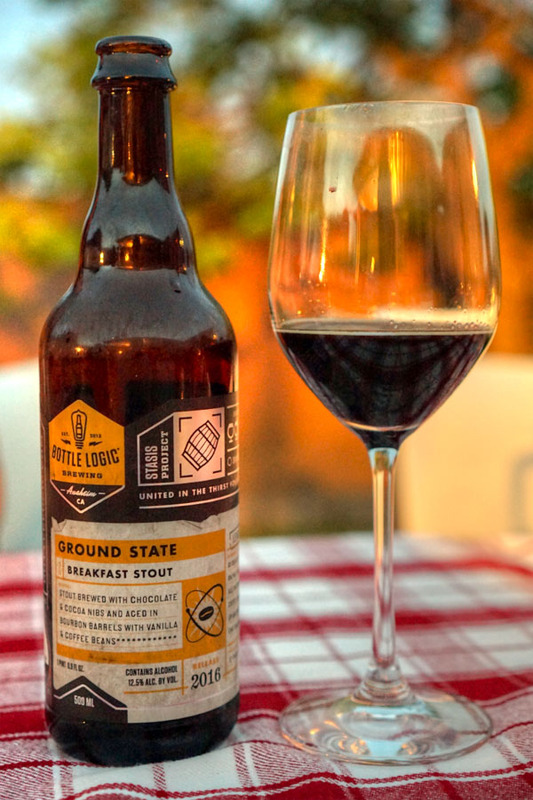 Our final beer was the much-hyped 2016 Bottle Logic Ground State. Created for the brewery's second anniversary, it was a breakfast stout brewed with chocolate and cacao nibs, then aged nine months in bourbon barrels with vanilla and coffee beans. On the nose I detected huge amounts of chocolate, making for a sensation reminiscent of a coffee-tinged brownie. In terms of taste, I got more chocolate, along with brown sugar, vanilla, and the roast character of coffee once again. Very drinkable, and a fitting closer. 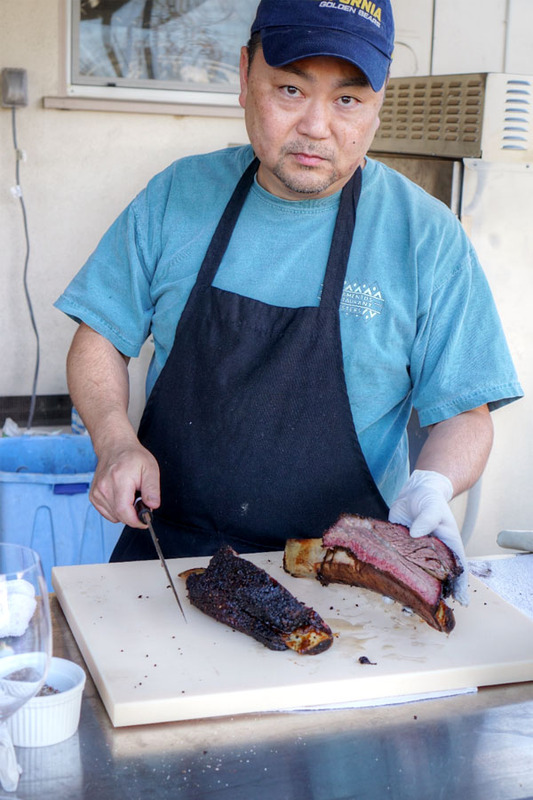 There's something about barbeque that tends to bring out the best from home cooks, and indeed, Lee managed to impress tonight, delivering 'cue that compared favorably with some of the top spots in Los Angeles. Word is that he's looking to start doing some catering, so I'll follow up to see what happens with that. Completely off topic Kevin, but I wanted your recommendation. I'm being treated to a sushi dinner in L.A. and can't decide where to go. Can't be Urasawa or N/Naka (obviously). We want mostly a classic sushi experience first, but if inventive dishes are also offered it would be nice as well. I originally wanted to go to Q, but the yelp scared me. I originally wanted to go to Matsuhisa (i've only eaten at Nobu vegas) or Zo in downtown. Can you help me decide please? Thank you. I'll take any suggestions you send my way. BBQ is one of the best foods to eat during summer time! Are they open to public? Or it was a special event? Vahe: I don't understand why n/naka's off limits, since its cost is in line with the other options. I wouldn't put too much weight into Yelp reviewers. Q is definitely worth trying if you have a slightly more adventurous sushi palate. Zo's a good one. 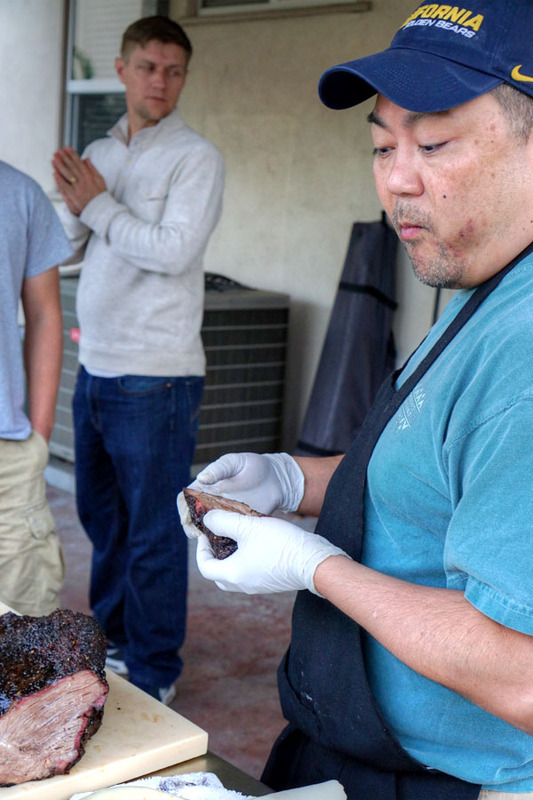 Perhaps Mori, Nozawa Bar, Shunji, Sushi Tsujita? 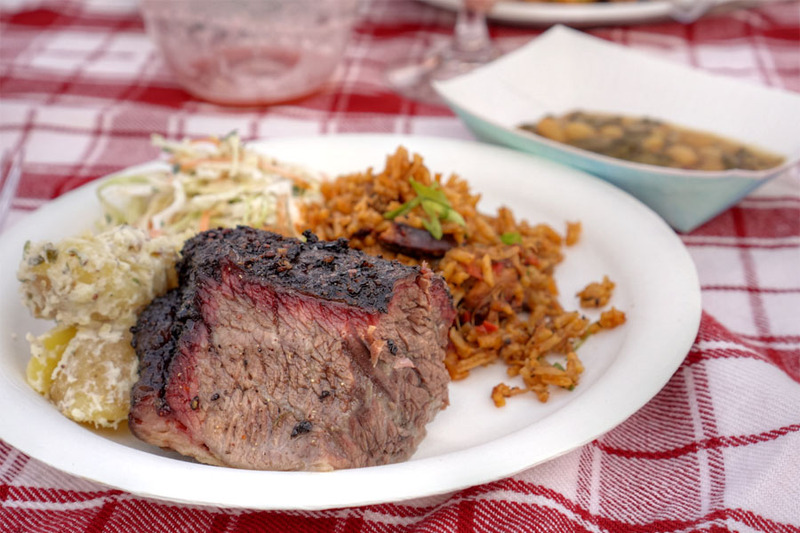 Charlie: Oh for sure BBQ is one of the quintessential summer foods. This wasn't a public event, but more of a friend-of-a-friend-is-doing-this-do-you-want-to-come sort of thing. Kevin, N/naka is off limits because they are currently taking reservations for August LOL. It's unreal how the Chef's Table episode on them blew up their reservation books. We're going with Zo in downtown. I will definitely put the other spots on the short list. Thank you! Wow, I know n/naka's more difficult to get into these days, but I didn't think it was *that* bad. Good for her though.